Increase engine power & reduce fuel consumption! 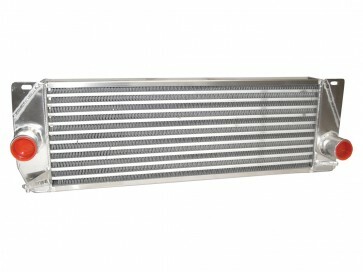 These high performance and robust units are constructed from polished aluminium and are 30% larger than the standard intercooler (see picture to left). As a result air has a chance to cool before entering the engine. This cooler air can increase engine power by up to 25bhp (subject to application). 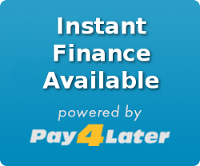 Other benefits include better throttle response and reduction in fuel consumption depending on driving conditions. Ideal for on or off road use. Fully pressure tested, capped and sealed. Manufactured in the UK. Note - If you have a winch fitted please check clearance before fitment. 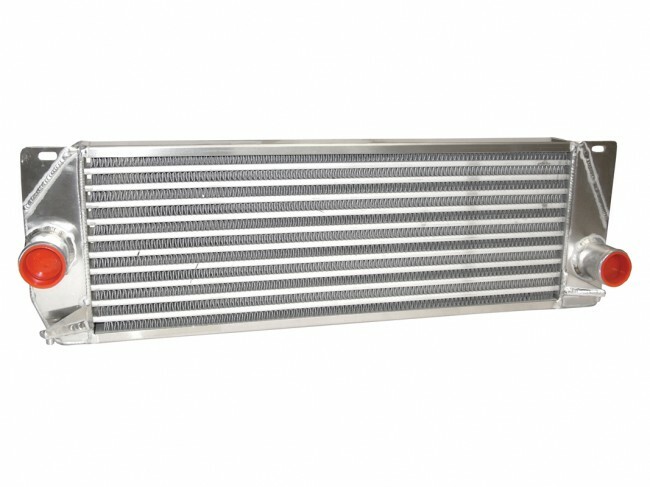 Dimensions for main intercooler body only.